In school, the right answer is so often required that children do not learn to value the wrong one. In fact, many children have learned that it is better not to even try if you cannot be sure that you’re getting it right. And we all know that not trying is the biggest mistake of all. Many of the world’s greatest achievers first failed, often many times. So, here are some strategies for encouraging risk-taking in your classroom. Decorate with posters and banners with quotes about risk-taking, like the ones above. Never allow children to make fun of classmates who make mistakes. Ask open-ended questions with several acceptable answers. Brainstorm frequently. Remember, all ideas are valid in a brainstorm. When problem solving, discuss the merits of a given idea and how it has gotten you closer to a solution. To help children discover their own error (rather than pointing it out) try asking these questions: Are you sure? Why do you think that? How did you come up with that answer? Sometimes, a student gets a question wrong because he/she does not think it through before answering. In a way, this is great – the student is not afraid to take a risk. Ask this student to “think again” often, he/she will almost immediately self-correct. Try new teaching strategies, technologies, and ideas. 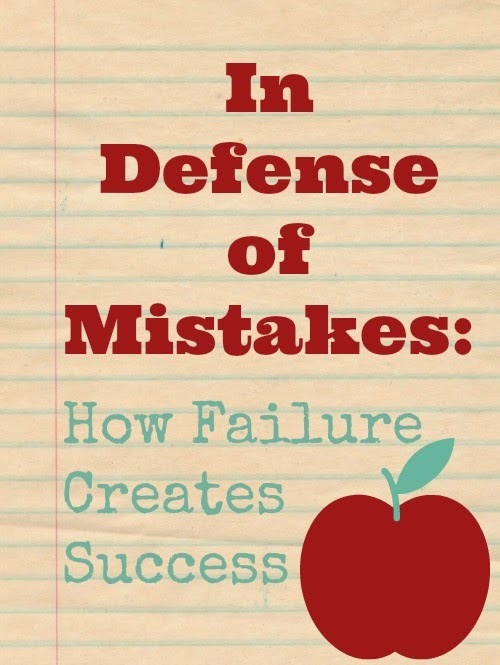 When you make a mistake, admit it and talk about how everyone, even teachers, makes mistakes. Tell stories about times when you, or other people, made a mistake, but then went on to succeed. Here is a nice sampling of famous people who failed before succeeding. It tends to be more empowering to find your own mistakes and correct them than to have someone point them out to you. Encourage kids to double check work, to self-correct. Better to teach children to seek out learning from their own mistakes rather than wait passively for someone to force them into it. Rethink passing papers to classmates to correct. First, it sends the message, “I don’t trust you not to change your own answers.” And second, it opens up a struggling student to possible embarrassment or humiliation. Not a good way to encourage risk taking. Offer the chance to do it again, preferably for full credit (at least in elementary school). Allow students to redo math problems, rewrite essays, even retest. The student’s job is to learn. Even if it takes a few tries, better to accomplish the goal than to leave with a failing grade and the job undone. Got more ideas to add? Please comment. Well said. I try and no equate failure to something negative, but rather a stepping stone to success. I found this really fascinating; thank you! I've also mentioned, and linked to it on my blog today. Thank you both so much, and thank you also for the link! We have a song on this theme called Messy. I love it when kids quote back "bless my mess!" and just laugh at moments when they get something wrong instead of feeling like they failed. What you have outlined here is SO important at a time where everyone gets airbrushed and pitch corrected. Life is about learning and when as we learn of course we'll make mistakes!